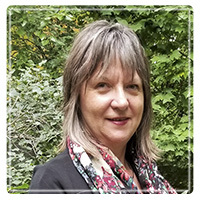 St Catharines Therapist: Heidi TeBrake - Therapist L2R 5Y1. My background of working with people who experience mental health challenges, family crisis, personal difficulties and changing family dynamics through adoption, leads me to have a passion for teaching and guiding people as they adjust to life situations and make the changes they choose to make. · Learn how to make better choices for yourself to allow for personal growth and renewed hope. · Build healthy attachment in relationships whether your family is built by marriage, birth, or adoption. It is never too late! · Learn how to communicate effectively as an important part of maintaining a healthy relationship. · Experience success as you experiment with the changes you are motivated to make. · Counselling to help you through your current crisis in a safe environment. · Extensive training in adoption related matters including trauma and attachment helps me to be a strong support for adoptive families. · I tend to work from a respectful strength-based approach in interaction with clients based on their stated needs and wishes. · $100.00 per hour to be paid at the end of each 50 minute session.